2. Sift flour, cocoa powder, baking soda, and salt a lot so that it's extra light. 3. Beat the butter until smooth and fluffy, then add the sugar. 6. While mixing, add 1/3 of the dry ingredients then 1/2 of the milk, then another 1/3 of the dry ingredients, then the other half of the milk, then the last 1/3 of the dry ingredients...got that? 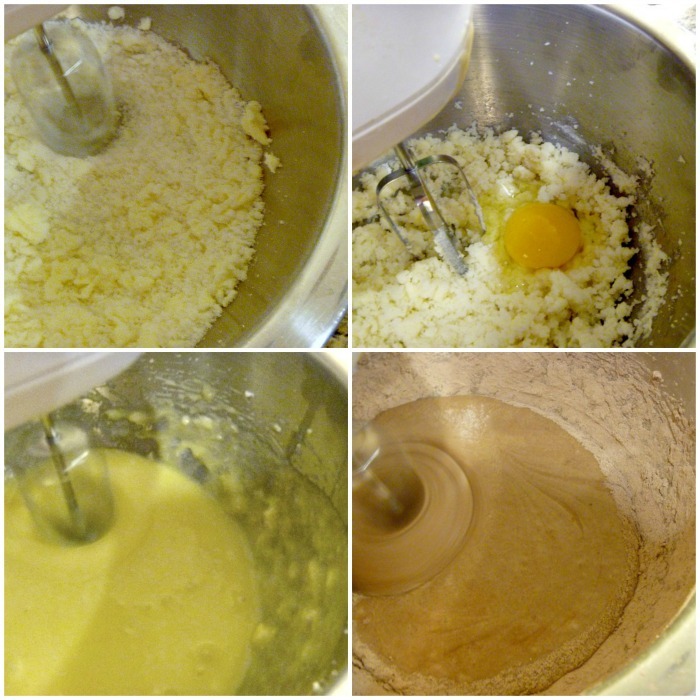 mix until smoooooth and taste some of the batter because you are probably hungry by now. 7. To prepare the topping, generously (I mean generously) butter the pan. 8. Pour in the melted butter and swirl it around the bottom. Sprinkle in the brown sugar, cinnamon, and nutmeg. Then add the honey. 9. Sprinkle evenly with the slivered almonds. 10. Pour in the delicious cake batter. 12. Run a knife around the edge of the pan and invert it onto a plate - let it sit there (with the pan and all) for at least 5 minutes so the topping can sink in. Now that you're done, you can enjoy it with strawberries and cream :). That wasn't so hard, was it?